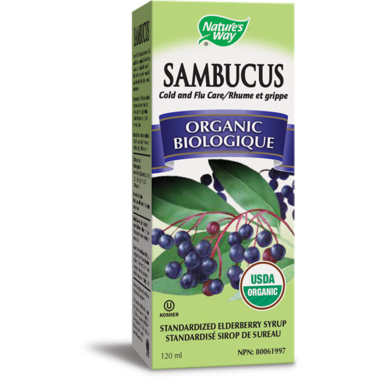 Nature's Way Organic Sambucus Standardized Elderberry offers a bioavailable extract with flavonoid BioActives. Nature's Way Organic Sambucus Standardized Elderberry provides a guaranteed potency of flavonoid BioActives, including anthocyanins, in every dose. Directions: For Daily Maintenance: Adults: Take 2 teaspoons (10 mL) daily. Children: Take 1 teaspoon (5 mL) daily. This product taste great. Like sweet jam. Very small bottle. Would need more then one for continuous use. Tastes delicious, almost too sweet. Works well and is good for you. The bottle is very small, so if your goal is daily maintenance you'll want to stock up. This syrup is easy to take. It is VERY sweet (not really necessary) and contains agave sweetner. If you are using it daily for maintenance you will need several bottles.